It took a while for me to finally see episode 229 of Bryant Gumbel’s Real Sports on HBO. I finally had to buy HBONow in order to see what all the hype was. What I discovered is a report filled with misunderstandings, misinformation and incorrect assumptions. It was and is one of the most misleading pieces I’ve seen about foul balls. This rebuttal and correction of the blatant errors in the Real Sports episode will end up in two parts because of the sheep enormity of the misinformation and misrepresentation. Gumbel starts his report by quoting an article FoulBallz.com was a part of. I had the honor of discussing foul ball injuries with David Glovin, the author of “Baseball Caught Looking as Fouls Injure 1,750 Fans a Year.” Something Gumbel misrepresents and fails to clarify at about 3:20 into the report is that those injuries are mostly, about 98%, due to the spectators themselves. Fans jump over each other, over seats, dive, get in scrums with others. All of these count toward Glovin’s figure. Gumbel’s report failed to mention that little fact. Instead, he reported fans are hurt by them. I was equally appalled by the Andy Zlotnick interview. In that segment, Gumbel and Zlotnick discuss the dangers of foul balls. Zlotnick was creamed by a foul ball. He had to have facial reconstructive surgery. But what Gumbel attempts to assert, incorrectly, is it is a matter of foul ball dangers. When you watch the segment pay attention to the rhetoric, the word choices used by Gumbel and Zlotnick. Really listen. They discuss how umbrellas blocked Zlotnick’s view. 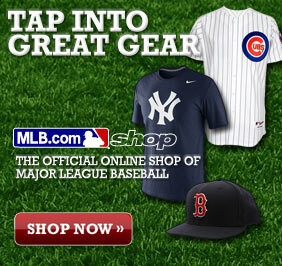 As it turns out, the fault of his injury is NOT because Major League Baseball was negligent. It was because fans contributed to the injury by opening umbrellas rather than moving to the concourses. Therefore, Major League Baseball is not a responsible party. The fans around him are. Adding more protective netting down the baselines has been discussed as a solution. But it’s more complicated than that, Tersine explained. ‘People paying more attention at baseball games would solve a lot of our problems,’ he said. So we see Gumbel’s EP edited the tape for effect, one might go so far as to say in order to make it a scare tactic. Another point Gumbel and his team failed to expound upon is the “assumption of risk” aspect of baseball. At about 6:08, Gumbel tells us about the warning on the back of tickets. What he DOESN’T mention is that every team also has several signs warning about the dangers of batted ball and loose bats. 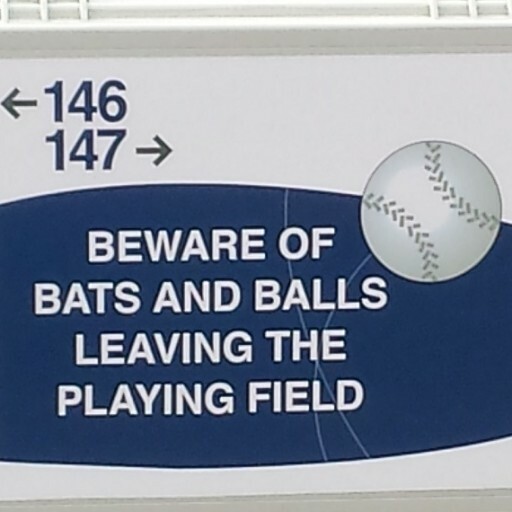 Additionally, every team makes announcements regarding the dangers of balls and bats. Gumbel offers the impression MLB teams fail to do anything more than put it in the fine print on the back of tickets. It’s even more disturbing when you watch the tape Gumbel plays at about 7:49. In it, we see a kid on a phone. ON A PHONE. He’s also sitting in what I’ve dubbed the “Danger Zones,” those areas with the highest rate of foul balls. Gumbel and his EP and editors missed this completely. That footage ends up being incontrovertible proof of how poorly done the episode is. They missed how EMTs “hate” home games because so few fans pay attention, then they missed an opportunity to show how fans do assume risk and are often guilty of contributory negligence. To wrap up the first part of this review, let me discuss the glaring inaccuracies and misrepresentations of historical facts Gumbel mentions around 7:55. He asserts players are bigger and stronger than in the past. However, there is no proof of this whatsoever. Nobody has been able to prove this to be true or false; it’s nothing more than supposition. But it gets more ridiculous. In the same segment, it’s reported seats are even closer to the field. First, Gumbel’s crew botched their research in a major way here. Seats are NOT closer. They never will be closer than they were in the past. Years ago, in the heyday of baseball, the time of the barnstormers, fan literally bought tickets and sat at the baselines. The fans were TWO FEET from the runner, the first base man, the third base man, the coaches too. Rule 2 of the Major League Baseball rule book, Minor League Baseball has a similar rule, states that the MINIMUM distance seats will be from the field is 60 feet. That is 58 feet farther than during the heyday of baseball. Some parks do have seats at the 60 feet mark. But it’s still not even closer to the field. As you can see, Gumbel’s HBO Real Sports report is littered with misinformation and horrible research. It’s highly inaccurate. And what I have here in the first part is only half way through the episode. Gumbel seems to have an axe to grind with Major League Baseball.